First reported 12 months ago by the Holmes Report, the deal sees WE acquire an agency that has grown rapidly to become India's second-largest PR independent. 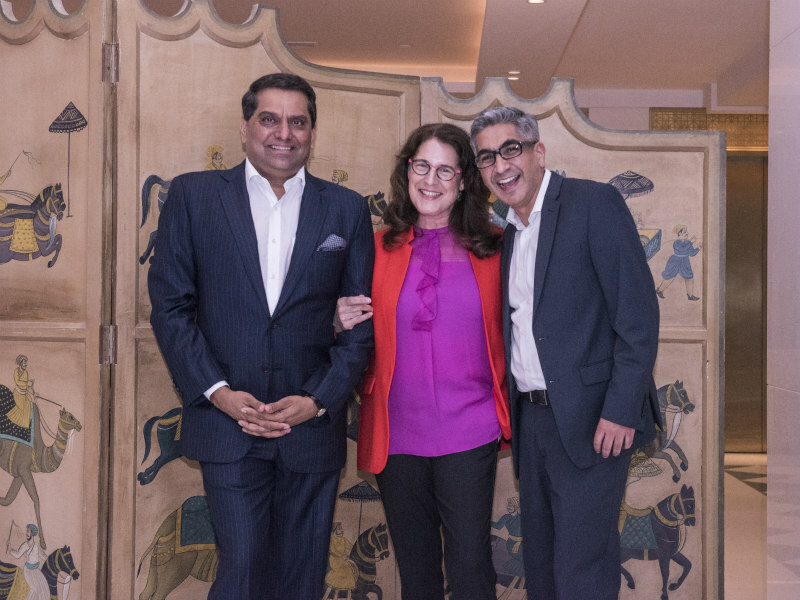 NEW DELHI — WE Communications has formally announced its long-awaited acquisition of India's Avian Media, 12 months after the deal was first reported by the Holmes Report. The deal involves the acquisition of a majority of Avian by WE, but falls short of a 100% buyout. WE Communications international president Alan VanderMolen would only confirm that his firm had acquired a "significant" stake in India's second-largest PR independent. Winners of the Holmes Report's Indian Consultancy of the Year in 2015, Avian has grown rapidly in recent years, up 50% in 2016 alone and reaching approximately $5m in fee income by the end of 2017. Unsurprisingly, the firm has long attracted acquisition interest, notably from Omnicom, but this deal sees WE win the race for a firm described by CEO Melissa Waggener Zorkin as a "like-minded independent." Avian was founded in 2004 by Nikhil Khanna, who becomes executive chairman of the new entity, called Avian WE. "Both entities share a common entrepreneurial culture and a philosophy of working in partnership with our clients to build long-term relationships, and a culture that places great emphasis on our people," said Khanna. Avian CEO Nitin Mantri, meanwhile, becomes group CEO of the combined Indian operation, which will include WE's modest Indian presence, launched in 2011. WE veteran Carolyn Camoens will continue as WE’s SVP of Southeast Asia based in Mumbai. Avian WE will number more than 160 staffers, around 150 of whom come from Avian. Avian public affairs subsidiary Chase will retain its separate branding under the ownership of Avian WE, and will remain led by Manash Neog. In addition, Avian's Neha Mehrotra will now run Avian WE PR nationally. "The merger between Avian into WE represents a huge opportunity for us to accelerate our expansion into new sectors and markets within the region," said Mantri. "With the increased scale of the combined business, we can deepen our specialist capabilities, particularly in the areas of our power sectors technology, health and consumer and provide our team with greater development opportunities." Since the appointment of WE international president Alan VanderMolen in 2016, the US-based independent has signalled a strong appetite for dealmaking in Asia, buying China's Red Bridge Communications and Singapore's Watatawa in 2017. “WE is focused on becoming the leading, independent mid-sized global network in the industry," added VanderMolen. "These additions to our family are yet another example of WE aggressively expanding our global network in order to service a growing, global client base."